Why we must accept change in our lives. 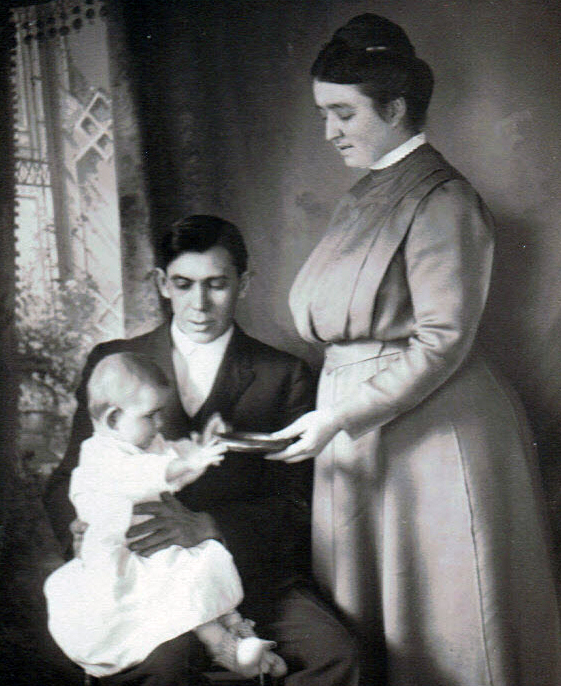 My mother as a baby with her father and birth mother. There she met my father, Clair Shultz. He was the youngest of seven children in a family hit hard by the depression. Inventive and mischievous, he went to college because a Sunday school teacher saw his potential and talked him into it. 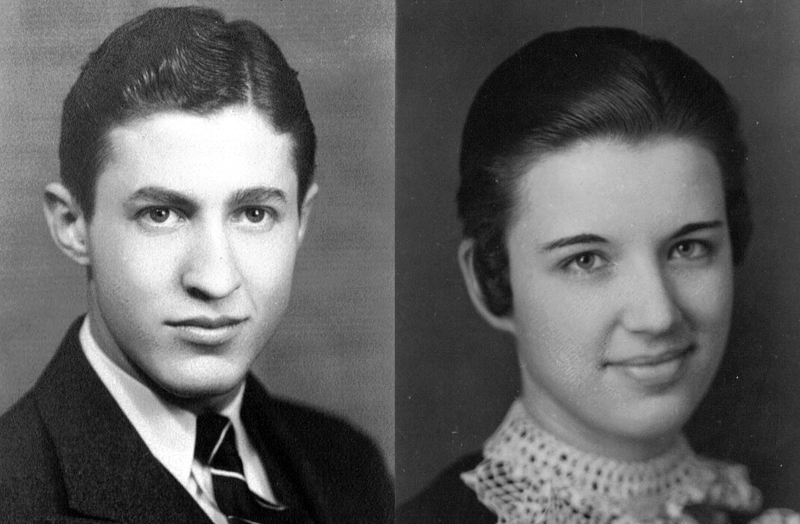 Mom fell for his pranks, like putting firecrackers under her dorm room door, and they were married in 1935 on a Christmas Day when it was four below zero. Their ministerial career began with the pastorate of a small church in Noblesville, Indiana. Two short-term Minnesota pastorates followed, after which they decided to apply for missionary service in Trinidad, British West Indies (where I was raised). Later assignments included some time in Jamaica and then in Kenya, East Africa. They learned Swahili in their 50s. I never realized until just before my father’s death that Mom was the strong one in the family. She endured tropical storms, tarantulas on the front porch, rats the size of housecats in the kitchen, and the near-death of her infant son with whooping cough. 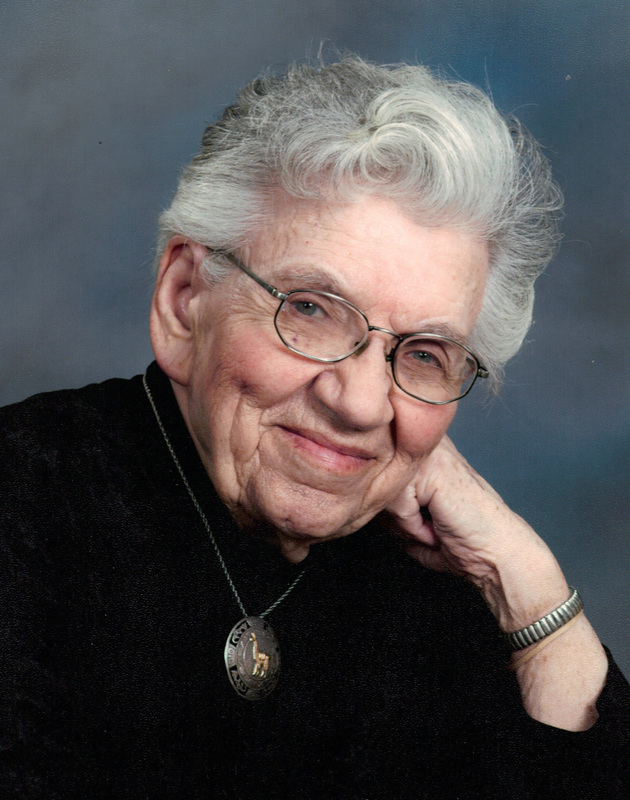 She taught Sunday school with flannel graphs, did the mission bookkeeping, and helped start a Bible training school. She also managed the onslaught of change that characterized the rest of her life. One of her biggest challenges was when my sister and I, each at the age of thirteen, were sent back to the States to go to school. In every place she lived, she had to change. She changed families (thinking of young missionaries as her kids), cultures, and devastating accidents. She traveled around the world more than once, documenting her travels in aerograms written in her delicate hand on airplanes and from distant hotels. Her biggest adjustments came after she and Dad retired. She was diagnosed with primary lateral sclerosis, a disease which gradually robbed her of mobility: first a cane, then a walker, and finally a wheelchair for more than twenty years. We watched her and Dad downsize from a three-bedroom home (filled with shells from Barbados and zebra skin rugs from Africa) into a two bedroom condo (with spacious bedrooms), and then into an apartment in an assisted living facility. Always she went to something smaller, something less. She gave away her favorite Blue Danube dishes, her bronze flatware from Thailand, and her Chinese buffet. When Dad died at 93 (she was 92) she downsized into an efficiency and finally, no longer able to manage on her own, into skilled care; first a private room and then a double. She gave up e-mail—her lifeline to others—and her checkbook. We watched her gradual devolvement and sometimes joked about her unwillingness to relinquish a final bookshelf of Bibles and well-worn favorites. Pneumonia precipitated her move to skilled care. Now totally cared for by others, her life had shrunk from the entire world to a hospital bed. Gradually dementia shuttered even that world. She died in 2011 at the age of 97. I first heard the phrase, “That was then. This is now,” when they started downsizing. More and more frequently she said the words as if to remind herself that change is inevitable and fighting it is pointless. One of her caregivers, who also was a close friend, marveled frequently that Mom never complained about her disease or her losses. When we asked her about missing Dad, she would say, “That was then. This is now.” To a woman who years before had sacrificed her children to serve the Lord, the scriptural pattern had become her bucket list. “Don’t store up treasures here on earth, where moths eat them and rust destroys them, and where thieves break in and steal. Store your treasures in heaven, where moths and rust cannot destroy, and thieves do not break in and steal (Matthew 6:19-21). I see these words as one of my mother’s greatest legacies to me. We spend so much time resisting change and complaining about circumstances. We gripe about the neighbors who never mow their lawn and we worry about the solvency of Social Security. We desperately hope that cancer won’t knock on our door and that no one in our family will die too soon. We’re sad to think that the children will grow up, spread their wings and fly away, and then complain when they move back home. Living out my days in a nursing home with overworked nurses and hallways that smell like urine is one of my biggest fears is. I think many have that fear. If truth be told, we cannot do much about most of these things. But a life lived in fear is no life worth living and I think we underestimate our resiliency and inner resources to adapt to change. The human race has endured the unspeakable in wars and concentration camps. Foreclosures have left us homeless, wars have left us childless, and disease and accidents have left us with lifelong pain. History teaches us, if we will pay attention, that even with such loss and pain people rise above and beyond to find meaning and make a difference. I want to be one of these people. Enjoy the life you have. With all of the loss and pain you may have endured, there are good things to celebrate. Try to think about what you have instead of what you don’t have. Thank God for your body, even if it is disabled or ravaged by disease. It’s the only one you have and you need to make peace with it. I’m not saying that life is easy or that you can think positively and change circumstances. Life is hard. But you are a survivor. That was then. This is now. Don’t play the “If only” game. Many spend their lives wishing things were different. “If only I had married differently.” “If only my daughter had not been in the car with the drunken driver.” “If only…” we can do this for years and it changes nothing. We must grieve our pain—with help, if necessary—but we eventually can make peace with our past. That was then. This is now. God made you to create. He is The Creator and has made you in His image. Creating things, whether writing a poem or rebuilding a car, is extremely healing. I have written about depression in another blog, and I will be writing about living with pain in another. What I know is that deciding to begin blogging has changed my perspective remarkably. It has given me a place to process my past and to gain perspective from all those gracious enough to respond. What creative things can you do? Downsize your wants and stop accumulating. Beauty fades. Riches are fleeting. Anchor your life to what no one can take away. Reach out for God and you will find him. How wealthy is that person who invests in eternity! Awesome thoughts. I love your writing. Absolutely one of the best things you’ve ever written. Your parents were precious people, and I know they loved you & your sister oh so much. Some day we need to talk, if we ever see each other again. Ha. I hate snakes! I think you’ll have to come back to Indiana, or the 4 of us will have to play cards in a different state than AZ. LOL. Love you guys! Beautiful! I can see where your lovely daughter gets her writing skills! Thank you for opening your heart and sharing this beautiful tribute to your parents and especially your mom. I was greatly encouraged. Susan: I am glad to know you found this encouraging! That is my prayer in blogging. Dave, I am sitting in the upper mission house in Babati, Tanzania. Read your article. It brought memories of your mom and dad; they were remarkable people. It made me think of my own parents who are now with Jesus. To the very end, they embraced what they could not change. I can see and hear your mother even now. She left a great legacy. I hope I can too. Beautiful Pastor Dave. Thank you! Love and hugs to you and Miss Karon! Retha touched so many lives and many of them are serving our God as a result of having her in their lives. Her statement “That was then, this is now” is a good way to choose not to live in the past. I love the photos you’ve shared. Dave, I have been following you now and find you writing hitting home more than I realized. Look forward to the next chapter. Thanks, Dave …another good one. Thank you, David! How I thank God for this word of wisdom like a thread from heaven that reaches to my tattered heart. I shared this on my time line. I’m sure it will bless many others. May God hold you close today, Betty. Thanks for reading my blog. Thanks for reading my blog. Blessings! David you are a word-smith. Your writing, lke your sermons, are insightful, practical and appreciated. The peace of God be with you . . Please keep blessing uis with words scupltured by your gifts and informed by the Spirit of God. Thank you, Bill. What gracious words you write. I pray that I can live up to them, and thanks for reading my blog. I loved your mom. So. Much. She certainly lived a triumphant life. Thank you, Margi! You, too, are a survivor and your posts inspire me to be better. Thank you for helping us all take a look at life through another set of eyes. I am afraid that in moments of a low, I am very good at the “what if” game. I have often considered creating a sign that reads, PITY PARTY IN PROGRESS…..ENTER AT YOUR OWN RISK…… But a dear friend told me that it is hard to see the shore when you are knee deep in alligators. I think my friend twisted several sayings together when she told me that, but it gave us a moment of lightness and laughter…then, a time of beautiful prayer together.Thank you for using your God given writing skills to help us all.